Here's what's new on the Unam Sanctam Catholicam website. 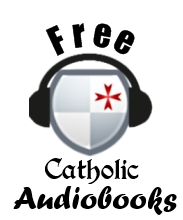 Great Books on St. Joseph, Prince of the Church! I'm still looking for a person or two to write some brief obscure saint biographies and do some movie reviews. Movie reviews are particularly simple; whenever you watch a movie, write a little summary of why it was good or why it stunk and email it to me. Any one else who wants to contribute in any way is welcome to as well. This has largely passed unnoticed in the western media, but it was reported last month that Cardinal Christoph Schönborn, Archbishop of Vienna, plans on closing an astounding 75% of the parishes in his diocese over the next ten years. This will reduce the number of Catholic parishes in the Archdiocese of Vienna from 660 down to 150. 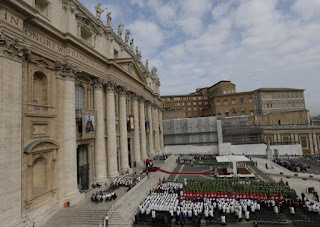 Schönborn stated that the reason for the drastic reduction was a severe decline in the number of churchgoing Catholics as well as the "priest shortage." The new parishes, he stated, would each be service by four or five priests with a senior pastor reporting directly to the Archbishop. He also noted that the new parishes would be collaborative efforts where priests and lay persons run the parishes together. 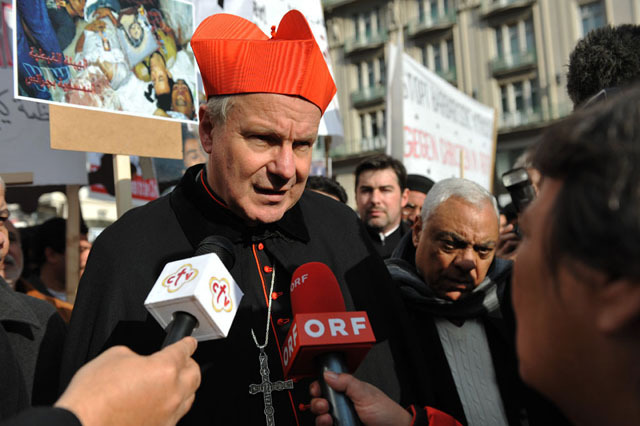 First, Austria was recently the scene of a shocking display of priestly disobedience. 300 of Austria's 4,200 priests upheld a pledge known as the "Call to Disobedience" in which they promised to work towards the establishment of a radical progressive agenda in Austria (see here). Since Vienna is the largest diocese in Austria, it stands to reason that a large number of these dissenting priests are probably from Schönborn's own Archdiocese. If he is going down to only 150 parishes, how many of those parishes will be in the hands of these dissenting, radical priests? Even if only half of the 300 dissenters are from Vienna, that would mean, on average, each parish would have one dissenting priest teaching and preaching there. This can't be a positive outcome. Second, it is certain that a vast amount of historically significant structures are going to fall into neglect. I have seen this before. The parishes that survive or emerge out of this will be the parishes with the modern amenities; newer structures built in the round that can accommodate a large volume of people and have ample parking spaces, etc. These newer, larger structures will be preserved as functional parishes while the small, beautiful historic country parishes that dot the Austrian countryside will be shut down as parishes and left to the uncertain care of local historical preservation societies to operate more as museums than real centers of devotion (like the parish church in Phoenix, Michigan). If you have ever been to Austria, your heart will break because you know what I am talking about; small parish churches and chapels spring up from the landscape there like flowers. Austria will lose much of what makes it beautiful. We could also comment on the fact that the Cardinal seems to be adopting the attitude that the priest shortage and lay-managed parishes are a fait accompli; the priest shortage simply cannot be stopped. I have written about this attitude elsewhere, and while I admit that I am certainly no bishop and don't know what it is like to manage a diocese, I do know that the fact that the priest shortage is artificially contrived is well-documented and that dioceses that simply return to the traditional approach to vocation development have no difficulty attracting well-formed, qualified men to the priesthood. To close 75% of the parishes in a historic diocese without making any real attempt to address the priest shortage in an effective manner is...well...it just seems like Schönborn is caving in a bit too quickly and eagerly here. The priest shortage is manufactured as a tool to starve dioceses into accepting lay-run parishes and it by no means inevitable. I remember an anecdotal story about the ultra-liberal Bishop Kenneth Untener of Saginaw, MI. 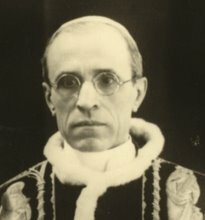 Untener was a promoter of married-priests, and when he heard that the Vatican was not as willing to entertain the concept of married priests as he had hoped, he said, "Well then, I will just reject all our applicants to the seminary and cut off the supply of new priests until I can starve them into accepting a married priesthood." I don't know what is going on in Vienna, but this is tragic news indeed. The Catholic leaves that flourished and covered the land of Austria in beauty and piety are withering and falling from a dying tree in the onset of a new winter of unbelief. This is hardly a new Springtime! Today my family and I made a visit to the Solanus Center in Detroit. The Solanus Center is part of St. Bonaventure's, a Capuchin monastery in downtown Detroit famous as the home of Ven. Solanus Casey. 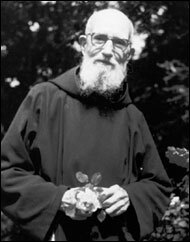 Solanus Casey (1870-1957) was the son of Irish immigrants from the midwest, the third oldest of a family of sixteen. He was ordained a Capuchin priest in 1903, but because of his poor grades in theology and latin, he was ordained as a "simplex priest", meaning that he remained permanently without the faculties of hearing confessions or preaching theologically complex sermons. He spent a few years in Huntington, Indiana and Brooklyn, New York, but most of his life as a Capuchin, fifty years, was spent at St. Bonaventure's in Detroit. He was assigned the very humble office of porter in the monastery, which, however, brought him into contact with hundreds of people and their problems. 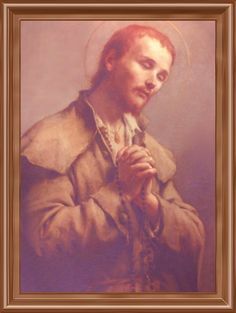 He became a familiar face locally; he began the practice of praying for the people he met and keeping a journal of answered prayers. Over the several decades he was porter at St. Bonaventure, he logged thousands of answered prayers, everything from miraculous healings to simple things like men finding employment (his prayer logs were on display at the Center). Once, when Chrysler had shut down in 1925, he had the whole company enrolled in the Seraphic Mass Association and had 500 Masses said for the company; a month later the factories were back in business and were even working overtime. At the time, it was popularly believed that his prayers saved Chrysler. By the 40's and 50's people regularly waited hours to see the "Holy Priest." When he died in 1957, 20,000 people attended his funeral. He is buried outside of the chapel in St. Bonaventure's. I really do not know how well Ven. Solanus Casey is known outside of Michigan, but around these parts there is great pride in our local saint. Our visit there was very moving; I was able to pray right on Fr. Solanus' coffin, attend Mass in the chapel where he worshiped and walk through the great doors where for decades he served humbly as a porter, in addition to seeing his violin, habit, sandals, prayer logs, etc. If Father Solanus serves as an example of holy simplicity for our age, it was a real let down that the monastery where he served offers a contrary example of everything that is worst about modernity. The humble monastery itself had been converted into a very modern facility with information desks, interactive computer displays and all the bells and whistles. 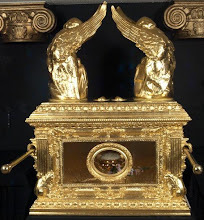 Relics of the Capuchin lifestyle were displayed behind glass cases. Educational panels described that the lifestyle of the monastery in Father Solanus' day was "almost medieval" and remained so from its founding "until the 1960's." But that austere way of life had vanished. You felt like you were in a modern museum in which the past was respected, but the way one respects an exhibit; it was no longer a living way of life. The doors where the humble Father Solanus had once answered as porter were now watched by a privately contracted security guard. The rest of the center was like some sort of social justice shrine. Like so many other orders, it seemed like the Detroit Capuchins had kind of switched their focus over the decades from contemplation to social work. There were statues of Martin Luther King Jr., Dorothy Day and Oscar Romero, among others. I did not see a Martin Luther King Jr. icon, but one would not have seemed out of place. When we got to the chapel, I noticed that, while much of the original neo-gothic high altar and wooded reredos where Solanus Casey said Mass had survived, the chapel had been renovated in the modern round orientation with the tabernacle way off in the back in a small little room about as far away from the altar as it was physically possible. As we prepared for Mass, we were distracted by the "praise band" rehearsing loudly with piano and flute, and the sanctuary was astir with people walking to and fro chatting as if it were coffee and donuts after Mass. I am afraid to say that the Capuchin friars did nothing to discourage this. In fact, several of them walked around mingling and chattering away as well. As Mass began, I noticed that the celebrant was wearing rose-colored vestments, despite it being the 28th Sunday in Ordinary Time. He explained that these pinkish-rose vestments were for "breast cancer awareness." Music was very disappointing. It was a combination of piano, flute (which somehow always manages to be too loud in a liturgy) and three women with suit-pants and short hair who sung with great emotion and gesticulation. Everything was turned into a hymn; the Gloria was a hymn where the first line was a refrain; the responsorial psalm was turned into a hymn with a bridge and conclusion; Lamb of God and Sanctus were likewise performed as hymns, which is very common in NO parishes. Hymn selections were your standard fare; "Blest are They", "Unless a Grain of Wheat", etc. The "praise band" was situated immediately to the right of the table altar (the massive neo-gothic altar Fr. Solanus used sat unattended in the back like a monolithic relic of a bygone age). I ought to mention that while the praise band occupied center stage to the right of the altar, an impressive choir-loft featuring a gloriously large pipe organ also remained conspicuously unused. Readings and homily were on the rich young man. Capuchin celebrant mentioned some story from "the Zen tradition" that he had picked up "back in the seminary" and tried to relate it to the Gospel. Let's talk about the passing of the peace. We have all heard of the ubiquitous people "jumping over pews." No one here jumped over pews, but they came pretty darned close. People left their seats and walked across the sanctuary; band members left the band area; priest stepped out of the sanctuary and mingled with the crowd. In went on for quite awhile. My daughter said, "Daddy, why are those people walking all over the place?" I couldn't come up with a good answer, so I just said, "They're being naughty," which maybe was the best answer after all. During the Eucharistic liturgy not a single person kneeled at all at any time. They stood up until communion, and then after communion they just sat down. My family were the only ones kneeling. As can be expected, there were an inordinate amount of Extraordinary Ministers. I counted seven. Seven EMHCs plus the priest for a congregation that had maybe seventy people in it. It was clear that the EMHCs are not for necessity, as the rules state, but more for the promotion of a kind of inclusive ecclesiology where lay people give the sacrament to themselves. With one priest and seven EMHCs, that means one attending this Mass only had a 12.5% chance of receiving Holy Communion from the hands of a priest, and that largely based on the accident of where you were sitting. As I suspected, the priest shuffled off to distribute on the other side of the sanctuary to a place where there were only ten people in line, leaving everyone else to go to the EMHCs. Well, I thought to myself that if they didn't mind people running all over the sanctuary for the passing of the peace, they wouldn't mind me doing so at communion time. So I grabbed a couple of my kids and sauntered off across the circular sanctuary to get in the line to get communion from the priest. 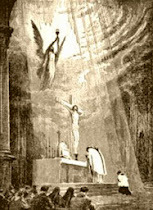 At one point I saw four EMHCs each with a chalice of the Precious Blood attending only a single line of communicants. After communion, but before the last blessing, the priest gave some "announcements" that went on almost as long as the homily. Everyone with a birthday or anniversary that week was encouraged to stand up, state their birthday or anniversary, and everyone would give them applause. As one final kicker, the priest, during the announcements, let everyone know that he would be leading a pilgrimage to Medjugorje and that there would be an informational video presentation after Mass. After the liturgy was over, everybody started gabbing again immediately as the chapel emptied. I went outside, knelt beside the tomb of Ven. Solanus, banged my head on the coffin and prayed for the Universal Church. On the way home, my wife asked me, "Why do they do that? When will people figure out how wrong that is and start doing it right?" I said, "Not until this entire rebellious generation dies in the wilderness." This week the Catholic world and even some in the secular press are observing the 50th anniversary of the opening of the Second Vatican Council, which was officially begun October 11th, 1962. Of course the secular media is pumping out the usual tripe about the Council, looking at everything through the lens of a "power struggle" between progressives and reactionaries and using the occasion as a club with which to beat the hierarchy over the issue of women's ordination. But, if you can wade through all that nonsense, there is some really interesting statements coming from the Vatican and Pope Benedict XVI himself on the legacy of the Council, its promise and its shortcomings. Yesterday an English transcript of one of the pope's radio addresses was published in which the pope reflects upon what it was like to be a young periti at the Council. This was an especially telling address because the pope offered a pretty substantial criticism of Nostra Aetate, the Declaration on the Church and Its Relation to Non-Christian Religions. Many have championed this document as occasioning a shift in the Church's ecclesiology towards a position where non-Christian religions are viewed favorably and Catholics are to only focus on building good will with other religions, not condemning their errors and trying to convert their adherents; this view has caused much mischief, especially in our missions. Consequently, Traditionalists have seen Nostra Aetate as one of the biggest issues with the Council, some attacking the document itself as presenting a false vision of Catholic missiology, others citing the document's disastrous implementation. "Thus, in a precise and extraordinarily dense document, a theme is opened up whose importance could not be foreseen at the time. The task that it involves and the efforts that are still necessary in order to distinguish, clarify and understand, are appearing ever more clearly.In the process of active reception, a weakness of this otherwise extraordinary text has gradually emerged: it speaks of religion solely in a positive way and it disregards the sick and distorted forms of religion which, from the historical and theological viewpoints, are of far-reaching importance; for this reason the Christian faith, from the outset, adopted a critical stance towards religion, both internally and externally." This is a phenomenal statement. Benedict XVI is here acknowledging that Nostra Aetate, besides being "extraordinarily dense", has a very profound "weakness" - that it speaks too positively of other religions and does not look at them critically, which is the approach the Church had always taken "from the outset." I can attest from experience that this is in fact the principal weakness in NA, and it is a weakness that is not only confusing to Catholics (who see the positive language as an affirmation of these other religions), but it is scandalous to Protestants who already suspect the modern Church of being syncretist. When I was reading through some of the statements of the Church on Islam and non-Christian religions with a Protestant friend of mine, he looked at the words of NA and said kind of skeptically, "I can see the value in examining issues where different religions are in agreement, but this language speaks so positively of other religions that it almost endorses them." I had to explain that technically the document wasn't technically endorsing other religions, but agreed that the language was way too positive and uncritical - it did almost sound like it was endorsing Islam, Buddhism, etc. We see now that Benedict himself feels the same way - it is not a good idea, theologically or pastorally, to dwell only on the positive aspects of non-Christian religions without also looking at their "sick and distorted" elements as well. "The Council Fathers neither could nor wished to create a new or different Church. They had neither the authority nor the mandate to do so. It was only in their capacity as bishops that they were now Council Fathers with a vote and decision-making powers, that is to say, on the basis of the Sacrament and in the Church of the Sacrament. For this reason they neither could nor wished to create a different faith or a new Church, but rather to understand these more deeply and hence truly to “renew them”. This is why a hermeneutic of rupture is absurd and is contrary to the spirit and the will of the Council Fathers." There is a great kernel of wisdom here as well. The Council Fathers gathered together did not constitute a sort of "Super Magisterium" or "Uber-Council" that had fantastical, far-reaching powers to utterly reorganize Catholic doctrine and life. They were only Council Fathers by virtue of being bishops gathered as one, and their power, even collectively, is essentially nothing other than the authority of the episcopate, whose authority is not to rebuild or redefine the Church's identity, either in its dogma or practice - but rather, to defend and hand on the Faith intact to the next generation. This is the "renewal" the Council Fathers were charged with. Anything beyond renewing and re-handing on the Faith of Ages was outside the purview of the Council's authority. Once again, Benedict reaffirms that the hermeneutic of rupture that sees Vatican II as the start of a totally new era and direction for the Church is "absurd." I do want to point out that the pope's critique of Nostra Aetate reminds us that the Vatican II documents are not perfect, and that they did not fall from heaven. Are they authoritative? Yes. Are they infallible? We have to be precise here, because, unless you are talking about the Bible, only statements are infallible, not entire documents. 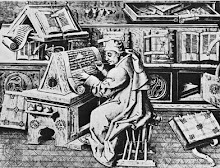 Documents are authoritative, but that does not mean that each and every phrase within a document possesses the charism of infallibility. For example, when we speak of the infallible declaration of the pope on, say, the Immaculate Conception, we are not talking about the entire 1854 document Ineffabilis Deus. We are talking primarily about the statement towards the end of the document that begins "We declare, pronounce, and define that the doctrine...etc." The statement - the definition - is what is properly ex cathedra infallible in this case. The document Ineffabilis Deus is like the authoritative vessel that holds the infallible statement. 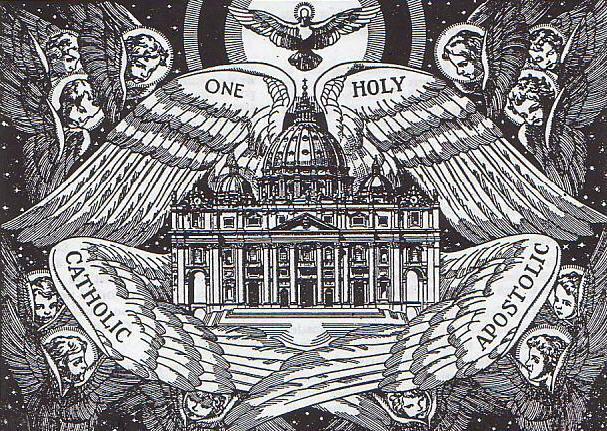 Nostra Aetate contains no such infallible statements, and though it is an authoritative teaching of the Church, is not flawless. Even an authoritative document can be flawed in what it omits, the tone of voice it is written in, the things it presupposes, the manner in which it presents its teaching, etc. In this case, Benedict has clearly stated his belief that Nostra Aetate suffers from a skewered presentation that sees other religions only in the positive light, as well as from its omission of any criticisms of the flaws in these other systems. We ought not to be surprised that the pope critiques a conciliar document like this. He has said similar things about Gaudium et Spes. He once said that Gaudium et Spes promoted an “uncritical acceptance of modern progressivism” that led Christians to neglect “the necessary distinction between progress conceived politically, economically, and scientifically … and the advancement of the kingdom of heaven” (source). At other times he has suggested that the schema that became Gaudium et Spes was too naturalistic and unhistorical, took insufficient notice of sin and its consequences, and was too optimistic about human progress. He also stated recently that Gaudium et Spes failed to offer an adequate definition of the "essential features that constitute the modern era", and in that sense it was flawed in the presuppositions it assumed. 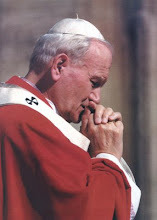 He also criticized the promulgation of the Novus Ordo liturgy, saying that it "introduced a breach into the history of the liturgy whose consequences could only be tragic" and stated that he was "dismayed by the prohibition of the old missal, since nothing of the sort had ever happened in the entire history of the liturgy" (see Milestones, pg. 146-149). What's the point of all this? It is that our Holy Father seems to take a more balanced view of the meaning and authority of the documents of Vatican II than has been common. His candor is refreshing. 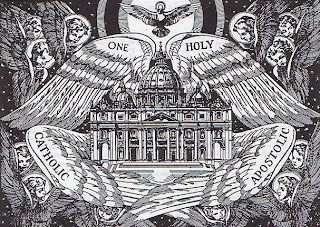 There is nothing wrong with suggesting that some of the documents and actions of the Council have serious issues that need to be addressed; Gaudium et Spes is too worldly, time-bound and optimistic about human progress; Nostra Aetate omits important critiques of other religions and casts them in too positive a light; the promulgation of the Novus Ordo was novel and had tragic consequences. All of this is the opinion of our pope, and he reflects the truth that, as we get further in time from the Council, now past fifty years, we should start expecting a more even-handed and critical assessment of its successes and failures. 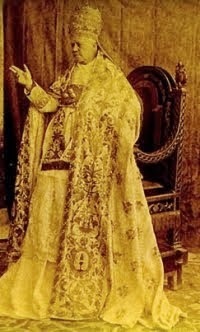 The pope is not afraid to admit that there were failures (some of them in the structure and outlook of the documents themselves), and that acknowledging these failures does not call into question the authority of the documents or make us schismatics or make us disloyal or mean we don't accept the Council. It simply means the documents aren't perfect, and the pope himself has said so on numerous occasions. If you'd like to contribute something to the new site, please let me know! On October 7th we celebrate the most worthy Feast of Our Lady of the Holy Rosary, which will be forever associated with the glorious Catholic victory at the Battle of Lepanto in 1571. While Lepanto occasioned the promulgation of the feast of Our Lady of Victory (the precursor to the current feast day), this victory did not in fact occasion the establishment of the universal Feast of Our Lady of the Holy Rosary. The feast of Our Lady of Victory instituted after Lepanto (1573) was reserved 1573 to churches which possessed an altar dedicated to the Holy Rosary. In 1671 Clement X extended the observance to the whole of Spain, but it wasn't until another Christian victory against the Turks in 1716 that the feast was extended to the universal Church. This victory was that of the forces of the Holy Roman Empire under Prince Eugene of Savoy against the Turks in the Hungarian campaign of 1716. Austro-Turkish War of 1716-1718 arose out of the desire of the Turks to revenge themselves for the losses inflicted upon them in yet another great Catholic victory, that of Jan Sobieski of Poland at Vienna in 1683. That victory had eventually led to the Treaty of Karlowitz (1699), in which the Turks ceded Croatia, Slavonia and large parts of Hungary to the Hapsburgs. Though they still retained the provinces of Temesvar, Moldavia and Wallachia, the arrangement was humiliating to the Turks and no sooner was the ink on the treaty dry than they sought to reform their forces and get revenge on the Hapsburgs. The war with Austria came on the heels of successful Turkish campaigns against the Russians (1710-1711) and Venetians (1715). At the beginning of 1716, the Grand Vizier Damat Ali massed an army of 160,000 Turks, Tatars and Janissaries at Belgrade and invaded Hapsburg territory. The Turkish aggression aroused the defenses of the Austrians, and the Catholic hero of the early 18th century, Prince Eugene of Savoy, was dispatched with an army of 91,000 Austrians, Hungarians, Serbians and Croats to defend Christendom and chasten the Turks. The decisive engagement of the war happened early on, at the Battle of Petrovaradin (August 5). Despite being encircled inside a fortress, Prince Eugene managed to outflank the attackers with a broader circle of cavalry, trapping the Turks between the walls of the fortress and the encircling cavalry. The Turks were utterly annihilated; only 50,000 returned alive to Constantinople. The Sultan ordered the execution of Grand Vizier Damat Ali, but he was already slain in the battle. After this stunning and unexpected victory Prince Eugene pressed on into Timişoara, which is a province then in Turkish-occupied Hungary. In a sweeping series of conquests that lasted from August to October, 1716, Euegene gloriously swept away the Turkish forces and city after city returned to Christian control after centuries of Turkish oppression. In October, 1716, the fortress of Temeswar capitulated, completing the liberation of Hungary. The conquest of Temeswar fell during the week of October 7-11th, drawing obvious comparisons to the victory at Lepanto one hundred fifty years earlier. It was in light of this stunning rollback of Turkish power in Europe that Pope Clement XI raised the Feast of Our Lady of Victory to be celebrated by the Church Universal under the title "Our Lady of the Holy Rosary." 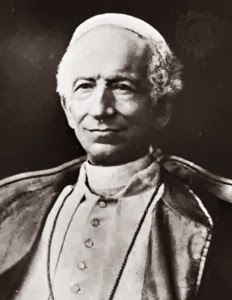 Leo XIII would raise the feast to the rank of double of the second class. As for Prince Eugene, he would go on to even more stunning victories, winning another almost miraculous triumph against overwhelmingly superior Turkish forces at Belgrade in 1717 and bringing a final defeat to the Turks in the Balkans.By the terms of theTreaty of Passarowitz, signed on 21 July 1718, the Turks surrendered the Banat of Temeswar, along with Belgrade and most of Serbia. Turkish power in the Balkans was broken forever, and from 1718 onward the Turks would only grow weaker at the expense of the growing European powers. So, while we commemorate the great victory at Lepanto every year at this time, let us also recall the glorious victories of the Catholic Prince Eugene of Savoy in the Austro-Turkish War of 1716-1718, which were the culmination and flowering of the first victory gained at Lepanto a century and a half earlier.